Angela Bonifati is a researcher in Computer Science at CNR, the Italian National Research Council, Rende (Italy). She received a MS degree in Computer Science Engineering from the University of Calabria (Italy) in 1997. In 2001, she got a Ph.D. degree in Computer Science Engineering from Politecnico di Milano (Italy). During summer 1999, she visited the Computer Science Department, Stanford University (California). During summer 2000, she did a summer internship at HP Labs, Palo Alto (California). 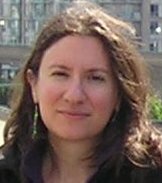 In 2002, she spent one year Post-Doc at INRIA Rocquencourt near Paris (France) and since 2004 she has been visiting several foreign institutions, among which University of British Columbia (Canada) and Saarland University (Germany). Her research activities focus on Web and XML databases, active databases and data warehouses. In particular, she has been working on XML query processing, XML update languages, data integration and distribution, web services and data warehouse design. On these topics she has published several scientific publications in international journals and conference proceedings. One of her most cited paper is a research survey “Comparative Analysis of Five XML Query Languages”, published in Sigmod Record 29(1), 2000. She gave several invited talks at foreign universities and international conferences and workshops. Dr. Bonifati has served as Program Chair of the 7th and the 8th ACM Workshops on Web Information and Data Management (WIDM’05 and WIDM’06). She will be Poster Chair of the 24th International Conference on Data Engineering (ICDE’08) and Program Chair of the 5th XML Database Symposium (XSym’07), to be held with VLDB’07. She has also served as Program Committee member of several international conferences, such as VLDB, WWW and COMAD, and international workshops, among which are the following: WIDM, XSym, DataX and XIMEP.